Shopping for Superman Bottle Openers? Thirsty? 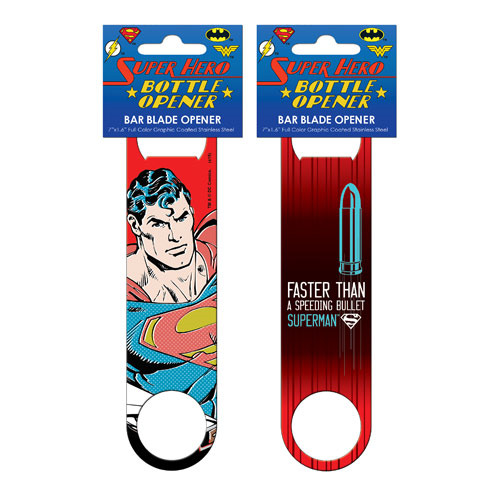 Pop open a drink with the Superman Pop Art Bar Blade Bottle Opener. Features a classic Superman comic graphic on one side and a "faster than a speeding bullet" graphic on the back side. Measures about 7-inches tall x 1 3/5-inches wide. Ages 15 and up.